The ethnic makeup of the band’s original lineup is diverse, with musicians of English, Scottish, Irish, Yemeni and Jamaican parentage. The band’s initial lineup lasted for 30 years from the band’s formation in 1978 until frontman Ali Campbell’s departure from the band in 2008. Since that time, two other founding members (Mickey Virtue and Astro) have also left the band, and the trio of Campbell, Virtue, and Astro have since formed UB40 Reunited and are due to play Birmingham O2 Academy on 19 December, London IndigO2 on 20 December and Manchester Academy on 21 December 2014. They also have a new song “Reggae Music” available to download from the website http://www.ub40.org and a new album to follow. Mick Fleetwood from Fleetwood Mac was born 24 June 1947. The band were formed in 1966 in London. Although band founder Peer Green named the group by combining he surnames of two ofhis former bandmates (Fleetwood, MVie) from John Mayall’s Bluesbreakers. Christine Mc vie joined the band in 1970 while married to John McVie, Green asked if drummer Mick Fleetwood could join. The Bluesbreakers now consisted of Green, Fleetwoo John McVie and Mayall. Soon after, Green cotacted Fleetwood to form a new band. The pair wanted McVie on bass guitar and even named the band ‘Fleetwood Mac’ as a way to entice him. Sadly Peter Green left and In September 1970, Fleetwood Mac released Kiln House. Kirwan’s songs sounded more “rocky”, while, Spencer’s songs resembled the country-tinged “Sun Sound” of the late 1950s. Christine Perfect, contributed to Kiln House, by singing backup vocals, and drawing the album cover, and was asked to join the band. They also released a single at that time; “Dragonfly” b/w “The Purple Dancer” . At this time Christine Perfect was also married to bassist John McVie. an album of previously unreleased material from the original Fleetwood Mac called The Original Fleetwood Mac was also released. Then While on tour in 1971, Jeremy Spencer disappeared And joined a religious group, the Children of God. So the band decided to search for a new guitarist, eventually hiring Bob Welch .In September 1971, the band released Future Games, which was different from anything the band had done up to that point, gained them many new fans in America. six months after the release of Future Games, the band released the well-received album Bare Trees. Though mostly composed by Kirwan, Bare Trees featured Welch’s “Sentimental Lady”, which would be a much bigger hit for him five years later when he re-recorded it for his solo album French Kiss, backed with Mick Fleetwood and Christine McVie. It also featured “Spare Me a Little of Your Love”, a bright Christine McVie tune that became a staple of the band’s live act throughout the early to mid-1970s, sadly While on tour Danny Kirwan developed an alcohol dependency and became alienated from Welch and the McVies umtil Fleetwood was finally convinced that he had no choice but to fire Kirwan. The next two and a half years proved to be the most challenging for the band. In the three albums they released in this period, they constantly changed line-ups. In September 1972, the band added guitarist Bob Weston and vocalist Dave Walker, formerly of Savoy Brown and Idle Race.Fleetwood Mac also hired Savoy Brown’s road manager, John Courage. Mick, John, Christine, Welch, Weston, and Walker recorded Penguin, which was released in January 1973. After Welch announced that he was leaving the band, Fleetwood began searching for a possible replacement. While Fleetwood was scouting Van Nuys, California,Mick Flletwood heard a song titled “Frozen Love” by an American band, Buckingham Nicks. Fleetwood liked it, and was introduced to the guitarist from the band, Lindsey Buckingham, who coincidentally was at Sound City that day recording some demos. Fleetwood soon asked him to join. Buckingham agreed, on the condition that his musical partner and girlfriend, Stephanie “Stevie” Nicks, also become part of the band; Fleetwood agreed. Buckingham and Nicks joined the band on New Year’s Eve 1974. In 1975, the new line-up released the eponymous Fleetwood Mac. The album proved to be a breakthrough for the band and became a huge hit, Among the hit singles from this album were Christine McVie’s “Over My Head” and “Say You Love Me”, and Stevie Nicks’ “Rhiannon” and “Landslide” . with the success of the band also came the end of John and Christine McVie’s marriage, as well as Buckingham and Nicks’ long term romantic relationship. Even Fleetwood was in the midst of divorce proceedings from his wife, Jenny. The pressure put on Fleetwood Mac to release a successful follow-up album, combined with their new-found wealth, led to creative and personal tensions, fuelled by high consumption of drugs and alcohol.The album the band members released in 1977 was Rumours, in which they laid bare the emotional turmoil experienced at that time. Critically acclaimed, it was the recipient of the Grammy Award for Album of the Year for 1977. Hit singles included Buckingham’s “Go Your Own Way”, Nicks’s U.S. No.1 “Dreams” and Christine McVie’s “Don’t Stop” and “You Make Loving Fun”. Buckingham’s “Second Hand News”, Nicks’ “Gold Dust Woman” and “The Chain”. 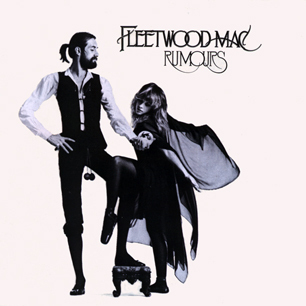 In a 2013 interview on ‘Top Gear’, Mick Fleetwood stated that the album had sold ‘nearly 50 million copies’. Lindsey Buckingham left and Following his departure, Fleetwood Mac added two new guitarists to the band,Billy Burnette and Rick Vito. Burnette had already worked with Mick Fleetwood in Zoo, Christine McVie, done some session work with Stevie Nicks and even backed Lindsey Buckingham on Saturday Night Live. 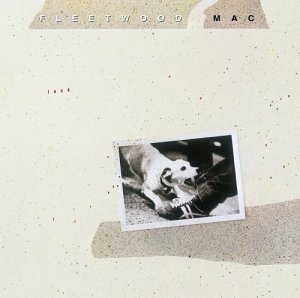 Furthermore, Fleetwood and Christine McVie played on his Try Me album in 1985. Vito, a Peter Green admirer, played with many artists from Bonnie Raitt to John Mayall, and even worked with John McVie on two Mayall albums.Capitalising on the success of Tango in the Night, the band continued with a Greatest Hitsalbum in 1988. It featured singles from the 1975–88 era, and included two new ompositions: “No Questions Asked” written by Nicks, and “As Long as You Follow” written by McVie and Quintela. The Greatest Hits album, which peaked at No.3 in the UK and No.14 in the US (though has since sold over 8 million copies there), was dedicated to Buckingham by the band, with whom they had now reconciled.Following the Greatest Hits collection, Fleetwood Mac recorded the album Behind the Mask, which included McVie’s “Save Me”. The subsequent “Behind the Mask” tour saw the band play sold out shows at London’s Wembley Stadium, and on the final show in Los Angeles, the band were joined onstage by Buckingham. The two women of the band, McVie and Nicks, had decided that the tour would be their last (McVie’s father died during the tour) though both stated that they would still record with the band. However, in 1991, both Nicks and Rick Vito announced they were leaving Fleetwood Mac altogether.In 1992, Fleetwood himself arranged a 4-disc box set spanning highlights from the band’s 25 year history, titled 25 Years – The Chain. The box set, included a brand new Stevie Nicks/Rick Vito composition, “Paper Doll”,here were also two new Christine McVie compositions, “Heart of Stone” and “Love Shines”, and Lindsey Buckingham also contributed a new song, “Make Me a Mask”, Mick Fleetwood also released a deluxe hardcover companion book to coincide with the release of the box set, titled My 25 Years in Fleetwood Mac. The volume featured many rare photographs and notes (written by Fleetwood himself) detailing the band’s 25 year history. In 2008 it was reported Sheryl Crow would be working with Fleetwood Mac in 2009. Crow and Stevie Nicks collaborated a great deal in the past andthe group will start working on material and recording probably in October, and finish an album.” In 2008, Mick Fleetwood confirmed that the band were working in the studio and announced plans for a world tour in 2009.In late 2008, Fleetwood Mac announced that the band would tour in 2009, The tour was branded as a ‘greatest hits’ show entitled Unleashed, although they played album tracks such as “Storms” and “I Know I’m Not Wrong”. Stevie Nicks also premiered part of a new song that she had written about Hurricane Katrina. 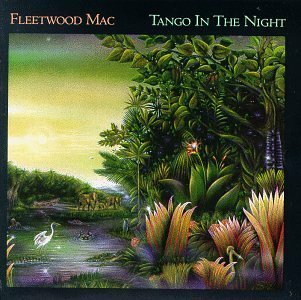 The Very Best of Fleetwood Mac was re-released in an extended two-disc format.On 1 November 2009, a new one-hour documentary, Fleetwood Mac: Don’t Stop, was shown and There was also an episode of Glee entitled “Rumours” that featured six songs from the band’s 1977 album. This sparking renewed interest in the band and Rumours reentered the Billboard 200 chart, the same week that Stevie Nicks’ new solo album In Your Dreams. Fleetwood Mac reunited for a 2013 tour without Former guitarist and singer Bob Weston or singer and guitarist Bob Welch who are both sadly no longer with us, and performed two new songs (“Sad Angel” and “Without You”), and In 1998, select members of Fleetwood Mac were inducted into the Rock and Roll Hall of Fame.